Watching Vladimir Putin play ice hockey is both a joy and a treat. It’s like Christmas (or Hanukkah) come early – or at that very moment he decides to lace ‘em up. He netted a shootout winner in his post-inauguration hockey game featuring the legends of the sport. He notched 11 points last year in a festival of hockey. Now watch the Russian president play with Alex Ovechkin, Evgeni Malkin, Pavel Bure and Alex Mogilny against a bunch of younger players. The greatest image of this is at the 56-second mark when Putin ‘fires’ a wrist shot into the youth goaltender. And by fires we mean … softly flicks the puck on net. So if you were a young netminder and the Russian president with dictatorial tendencies shot the puck at you, would you make the save? Umm, no. Also, note that Putin’s favorite offensive zone spot appears to be the half-wall at the 51-second spot. Sadly the video does not include a one-timer by the man. Not so surprisingly, Putin’s team did win 9-5. 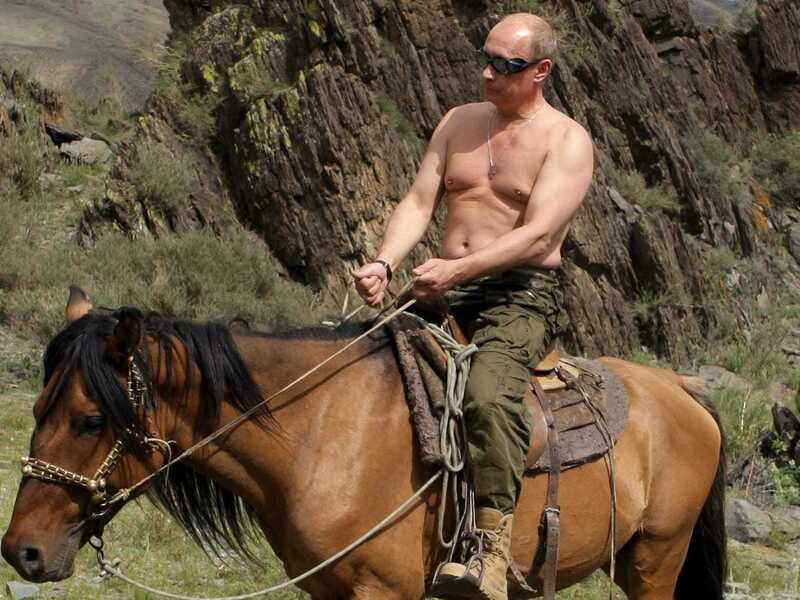 There has to be some tie-in of Putin, shirtless on a horse while wearing goggles/sunglasses. Well, maybe not but it’s still one of the greatest leadership images in modern history.